German right wing extremist groups’ enemy lists revealed that the lives of minorities especially Turks in Germany are under threat and police’s inaction could cause NSU-like serial murders said Levent Taskiran, spokesperson for the Kolner Turks Solidarity Platform, a Turkish NGO based in Cologne, Germany. “I think most of the 35 thousand on the so-called enemy lists are mainly Turks and other Muslim minorities and the members of Turkish NGOs are the main target,” said Taskiran who has been fighting discrimination and prejudice towards Turks in Germany since his university years. 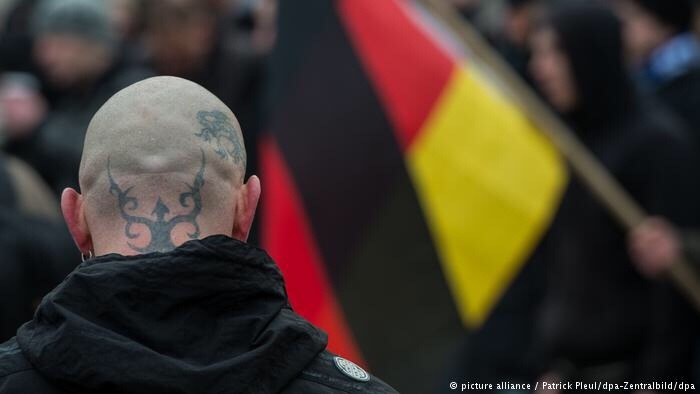 It was revealed after a parliamentary question that German far right groups have gathered detailed information on 35 thousand people. However, German police have only warned 3 people from the enemy lists citing lack of imminent life threat about the people on the lists. “Are we supposed to die first so the police could think our lives are under danger. This is the attitude we remember from NSU murders. Police should have warned everyone on the list without a doubt,” said the 42 year old activist. German far right terrorist group NSU systematically murdered 8 Turks between 2000-2006. The relatives and the lawyers of the victims kept asking how the 8 people were selected, citing an organized preparations which were vehemently overlooked by Munich court where the trial was held for 5 years. It turned out after the enemy lists were revealed that the targets were not selected haphazardly and police actually knew that tens of thousands of people were on the lists. Racism has been on the rise in the continent Europe lately. Islamophobic & Xenophobic party AFD increased its votes to 17 percent, single point below of SDP, second biggest party and ruling coalition partner of Germany. One of the largest Muslim NGOs closed its Cologne office last year after receiving death threats repeatedly. “Those lists means a grave danger for the security of our lives,” said Taskiran. He also reiterated that Racism was restricted to a certain far right circles up until a few years ago but now it is part of the mainstream society and politics. Levent Taskiran also pointed out that Turkish community expects a substantial investigation into this seemingly police negligence. If the state apparatus does not act, we will have take the matters into our hands, Taskiran said.